All-Around Excellence: The cuisine, open seating for meals, exemplary service, and roomier-than-Usual accommodations (even among luxury ships) make Silversea worth the outlay. Very Inclusive: All but the most top-shelf alcohol, including champagne, is included on board, as are room service and gratuities. A Butler for Everyone: Regardless of your suite category, everyone on board is treated to the services of a professionally trained butler and suite attendant. Not a Great Deal of Nightlife: Yes, the ship has a show lounge, but it’s not really big enough for anything lavish. The line in recent years has been de-emphasizing production-type shows in favor of more low-key, concert performances by classically trained vocalists and other musicians. From exquisite service and cuisine, to such niceties as free-flowing Drappier champagne and Ferragamo and Bulgari bath products in the marble cabin bathrooms, the line’s fleet of classic and luxury expedition ships offer the very finest of, well, everything. A Silversea cruise caters to guests who are used to the good life, and nothing seems to have been overlooked. Food and service are among the best at sea, the decor is warm and inviting. Tables are set with Christofle silver and Schott Zwiesel crystal. If you want the VIP treatment 24-7, this is your line. Because of the addition of the line’s three (soon to be four) luxury expedition ships, Silversea offers the largest range of destinations to choose from of all of the luxury lines. This includes all seven continents, with expedition destinations including the Arctic, Antarctica, Micronesia and Melanesia, the Russian Far East, and the Galapagos. The line’s classic luxury fleet covers nearly everywhere else, including Asia, Alaska, the Panama Canal, Central America, the Caribbean, South America, South Africa, the Middle East, Mediterranean, Western Europe, Northern Europe and Scandinavia, Greenland, Iceland, Canada & New England, and the Eastern Seaboard. Overall, they’re well traveled, well heeled, well dressed, well accessorized, and well into their 50s, 60s, and 70s. That being said, shorter cruises and Caribbean sailings often skew a tad younger, adding at least a handful of 30- and 40-something couples to the pot. Typically, about 50% of passengers are American and the rest are mostly from Europe, with Australians, South Americans, and Asians. Most guests arrive in twos, though singles and small groups of friends traveling together can be part of the scene, too. 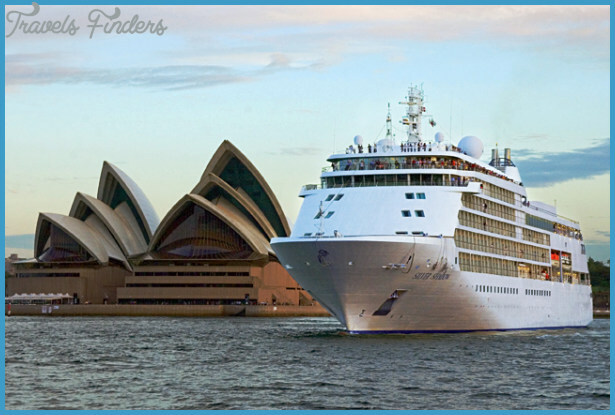 Many have cruised with Silversea before. Silversea has a partnership with venerable Relais & Chateaux, and the main dining room is as polished as you would imagine from such an association. Food is one of Silversea’s greatest strengths both in preparation and in presentation not only in the main dining room (known simply as The Restaurant), but also in the breakfast/lunch buffets in La Terrazza. That room doubles as a low-capacity candlelit Italian restaurant with a slow-food philosophy. Must upgrade to something really, really expensive (Opus One and Dom Perignon), you should expect to pay the going rate. In the past couple of years, Silversea has significantly enhanced its onboard enrichment program. Naturalists, historians, well-known authors, award-winning chefs, and wine experts host excellent sessions, often targeted to the specific cruising location. The line has also introduced a cooking school with state-of-the-art cooking theaters that allow chefs to present a variety of specialized cooking classes and demonstrations on every cruise. These are not ships that carry a lot of children but there will be youth counselors on Silversea ships when there are a number of kids on board, offering activities appropriate to the ages of those traveling. We’ve seen a handful of kids on Silversea’s Expedition cruises (mostly on board Silver Explorer ), but those, too, are rare. 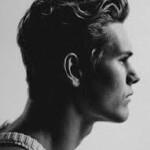 Your fellow guests will expect your children to be quiet and well-behaved. While many will have grandkids, they picked this line for a reason and kids weren’t a part of that decision. Silverseas sails with a team of six vocalists and musicians on each ship who do a fine job on the several shows they put on every week in the main theater. There’s also usually a small combo for dancing (no disco, please, for this older crowd). And many guests choose to host elaborate afterdinner drinks parties in their suites. Staff have an uncanny knack for remembering your name if you’ve sailed before even after a few years away from the line. Which is a long way of saying that service is exemplary; the men and women who work on these ship could take their places in the finest restaurants and hotels ashore from where, in fact, many of them came. All gratuities are included in the fare. Ships have a selfservice laundry and remarkably speedy valet service, including laundry and dry cleaning. In Alaska, Silversea offers a small number of pre- and post-cruise land packages ranging from 2 to 4 nights. The shortest, for passengers who are interested in wildlife, is a 2-night program called Flight to Bear Country that takes passengers by floatplane to Redoubt Bay. It costs from $1,529 per person, based on double occupancy. On the longer side is a 4-night trip to Denali National Park that starts at $1,899 per person, based on double occupancy. New for 2015 is a flightseeing option over the park. Silver Galapagos. In late 2017, Silversea plans to refit Silver Cloud with a reinforced ice-class hull and transfer her to the Expedition fleet, in the process turning her into one of the most luxurious expedition vessels afloat. Silver Spirit The Silver Spirit is the largest ship in the fleet and carries the most passengers. She’s also the most innovative and most filled with facilities. At 36,000 tons, the ship is 27% bigger than Shadow and Whisper and twice the tonnage of Wind and Cloud. Silversea takes advantage of this space with new dining options, a range of amenities not found on its other ships, a greater percentage of verandas, a vastly expanded spa and casino, and new lounges. As for any worries about service levels being different, with 376 crewmembers, the ratio of guest to crew is 1.4 to 1, virtually identical to the rest of the fleet. The one difference guests feel is not crowding but the awareness of other passengers on board (on other Silversea Vessels there are moments when you feel you have the ship all to yourself. Not here). Cabins Of the 270 outside suites, 258 have private verandas. All suites have butlers who provide a wide range of services, from packing and unpacking, to making spa and restaurant reservations and, of course, providing endless amounts of Drappier champagne. Smallest suites are the inside ones, Grand Suites and Owner Suites are so big they have their own libraries! And, of course, suites can be combined for big groups. All suites, regardless of category, can be personalized via a series of scents created by renowned Italian perfumer Laura Tonatto. Other luxury touches abound, like the marble bathrooms, the fluffy duvets, and personalized stationery. One of their best design features is the way the TVs are placed behind the mirrors; when they are not on, they are hidden from view, a classy touch. There are even iPod docking stations. If there’s a weakness, it’s that there are not enough electrical outlets for all of today’s gadgets. Dividing line of sorts; the forward portion of each deck has suites, the aft portions have the restaurants, lounges, spa, casino, and the rest. The casino and boutiques are much expanded compared to earlier ships, providing ample opportunity for onboard spending. And the spa is absolutely massive with an indoors/outdoor setting, a beauty salon, gym, whirlpool, sauna, and steam rooms (although not much in the way of luxe amenities). The changing rooms are coed, which some passengers may find uncomfortable. The pool area is also bigger than on other Silversea ships and has lots of wicker furniture with comfy cushions for lounging around. Dining Dining is a highlight of any Silversea cruise, and, with the larger tonnage of Silver Spirit comes an expanded range of options. The four venues, found on all Silversea ships, include the Restaurant with the widest range of menu options, open all three meals; La Terrazza for indoor or alfresco dining with breakfast and lunch buffets (a much improved setup compared to earlier ships) and authentic Italian cuisine at night; Le Champagne for a six-course epicurean experience in an intimate atmosphere; and the Pool Grill (both lunch and dinner), with a wider than normal range of options including a hot-rock dinner for the evenings. Two new restaurants fill out the menu. The Seishin Restaurant has a range of Asian fusion menu items, from Kobe beef and spider lobster lots of sushi choices (per-person degustation menu cost is $40); and the Stars Supper Club where live music, dancing, and nightclub-style entertainment complement the innovative menus. There’s also 24-hour room service with menu choices taken from the Restaurant, and served course by course if so desired. 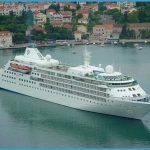 Silver Shadow – Silver Whisper These handsome, well-run ships are perfect for those looking for a small-ship experience with superb dining and service. Silver Shadow and Silver Whisper are small enough to be intimate, but large enough to offer a classy, two-story show lounge, a dark and romantic cigar lounge, three dining venues, an impressive spa and gym, and some really great suites, in addition to the fine service and cuisine provided fleetwide. Long bathtub, along with double sinks, make these among the best loos at sea. Public areas & activities The impressive two-story show lounge has tiered seating and lots of cozy clusters of chairs; while the Bar, just outside the show lounge’s first level, can be a social hub, with a long bar, dance floor, and plenty of seating. The Observation Lounge, high on Deck 10 overlooking the bow, is a swell place to watch the scenery unfold through floor-to-ceiling windows. You’ll find a radar screen, astronomical maps, binoculars, and reference books, and, during the day, a self-service coffee, tea, and juice bar. At the stern, the windowed Panorama Lounge also affords nifty sea views, continental breakfast and high tea here, while by night it becomes an intimate nightspot, with a pianist serenading dancers. The Connoisseurs Corner is a dark, and plush spot for cocktails with a walk-in humidor for cigar aficionados. There’s also a small casino, a card room with felt-topped tables, a boutique, and a pool bar. The spa, gym, and hair salon occupy much of Deck 10, and are spacious for a ship of this size. There’s a separate workout room with exercise machines, plus a separate aerobics room Unfortunately, jolting grass-green Astroturf covers the entirety of Decks 9 and 10 (a teak-colored synthetic flooring would have been a better choice). There’s also a golf driving cage and shuffleboard. Dining In the Restaurant, the main dining room, a live trio plays romantic oldies on some nights, and guests are invited to take a spin around the small dance floor. Breakfast, lunch, and dinner are served here in high style, while a more casual buffet-style breakfast and lunch are served in the indoor/outdoor La Terrazza. 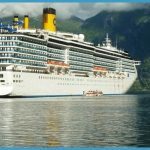 Service is doting even in the casual restaurant; come evening, it has a superb Italian menu that focuses on different Italian regions throughout the cruise (reservations required). A third dining spot has special wine-pairing menus in an intimate setting. Big enough to have a two-story show lounge and several other entertainment outlets, and cozy enough that you’ll feel like you practically have the vessel to yourself, these ships are an absolute dream. Super intimate yet large enough to have multiple entertainment venues, two restaurants, and lots of outdoor deck space, sister ships Silver Cloud and Silver Wind were built in the mid-1990s, just in time to get in on must-have ship fashions such as balconies. Both have good-sized spas and gyms, and a lovely observation lounge. Cabins Like their fleetmates, Silver Wind and Silver Cloud are all-suite ships, with balconies on more than three-quarters of the staterooms. All standard suites have sitting areas, roomy walk-in closets, bathtubs, vanities, comfy mattresses, as well as new furniture, carpeting, drapes, and bathroom fixtures and finishings (recent refits gave rainfall showerheads to the Wind but not Cloud ). The top of the lot, the Grand Suites, have two bedrooms, two living rooms, two bathrooms, and a full-size Jacuzzi tub. Color schemes revolve around creamy beige fabrics and golden brown wood. 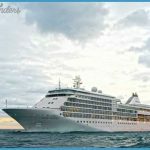 Silver Cloud has swirled peachy-gray marble that covers bathrooms from head to toe, and though nice, the bathrooms on these ships don’t hold a flame to the larger, simply decadent loos on the line’s newer fleetmates. Public areas & activities Public areas are spacious and open. High tea is served by day in the windowed Panorama Lounge, which at night hosts piano entertainment. Magic and other acts are performed in the attractive two-story show lounge, and, on most nights, a dance band plays oldies or a DJ spins in the intimate and dimly lit adjacent bar. There’s a small casino, too, plus boutiques where you can spend your winnings, including fine jewelry shops with the requisite gold-and-diamond-studded watches. Dining The formal, open-seating dining room, called the Restaurant, is delicately decorated in pale pink and gold, and elegant candlelit tables are set with heavy crystal glasses, chunky Christofle silverware, and doily-covered silver show plates. The indoor/outdoor La Terrazza cafe, where buffet-style breakfast and lunch are served, is transformed into a nightly spot for more casual evening dining, featuring a scrumptious Italian menu. Pool, fitness, spa & sports facilities The Silver Cloud oceanview gym occupies a roomy space by itself on Deck 9, where an observation lounge used to be (oddly, it’s not attached to the ship’s interior, so one must go out on deck to enter). The new spa has five treatment rooms, a beauty salon, and fitness center (similar to the layout on Shadow and Whisper ). Both ships have a pool and two hot tubs. Although these three ships are different, they’re more similar than not, delivering a luxury expedition product that aims to pair the inclusive amenities of a regular Silversea cruise (think butlers, Bulgari, and champagne) with the adventure of a true expedition cruise. 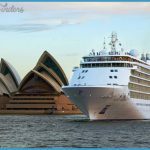 Setting sail in the spring of 2017, Silver Muse is Silversea’s first new ship in nearly eight years. Carrying 596 guests, she’s the largest ship ever constructed for the line, although, practically speaking, she’s more like Silver Spirit 2.0, with a few tweaks here and there, and some stylistic exterior changes, like a redesigned bow profile. From a guest standpoint, her basic layout is near identical to the Silver Spirit. The Bar will still grace the entrance lobby on Deck 5, albeit in a larger format. The Panorama Lounge is still located all the way aft, with its dance floor and indoor/outdoor seating, and an Observation Lounge, similar in decor to Silver Spirit, with soft earth tones and blonde woods, still overlooks the ship’s bow (though we are disappointed to see the latter still lacks bathroom facilities). 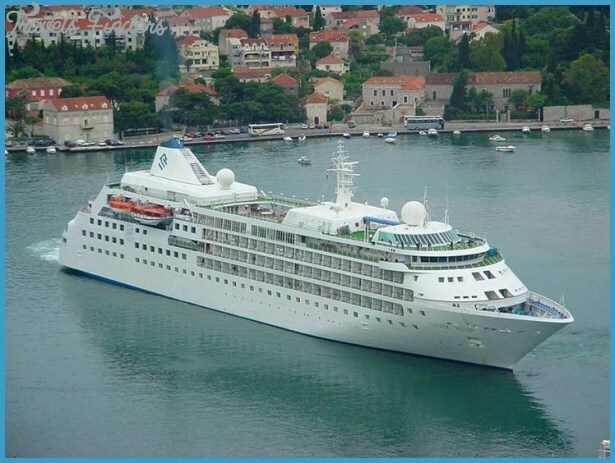 The real differences between Silver Muse and Silver Spirit can be found in the ship’s suites and dining options. Suites are larger on average, and the number of the ever-popular Silver Suites has been increased to meet demand. All suites will feature new modem decor (think Seabourn crossed with Viking Ocean Cruises) with amenities like USB outlets and 55″ interactive flat-panel television sets. On the dining front, Silversea has done away with the main Restaurant, carving the Deck 4 space into two distinct venues: Indochine (Pan-Asian cuisine) and Atlantide (seafood focused fare). Eight different dining options will be featured on board, from the casual, cook-it-yourself fun of Hot Rocks by the pool deck to the intimate Silver Note, the rebranding of the Supper Club found on Silver Spirit. Despite the new name, Restaurant No. 8 will still offer small, tapas-style dishes along with wine and cocktail offerings and live music. Also returning, and rebranded, is Le Dame by Relais & Chateaux, better known on Silversea’s existing vessels as Le Champagne. Ditto for Kabuki; it’s Silver Spirit’s Seishin Asian-fusion restaurant, renamed. Regardless of what the brand names are, Silver Muse looks fully capable to carry Silver Spirit’s legacy and that of Silversea into the next decade. All three ships are hand-me-downs that Silversea has invested heavily in in order to bring up to snuff. 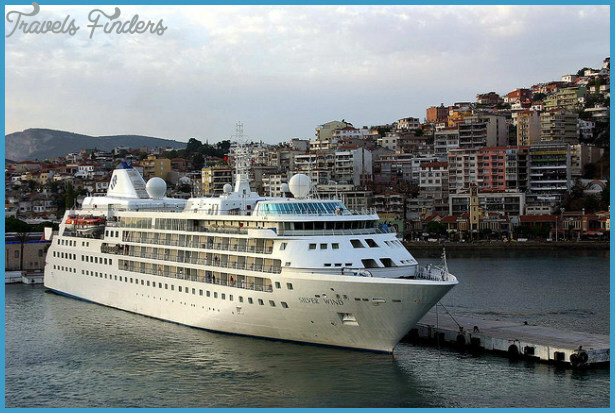 Of the three, Silver Explorer first introduced in 2008 as Prince Albert II and renamed in 2011 is the most elaborate, with decor, wall treatments and soft furnishings that directly recall public areas found aboard Silver Wind and Silver Spirit. Colors run toward reds mixed with a variety of blonde and walnut woods, and public spaces are more varied, with an observation lounge, piano bar, and a dedicated briefing room Silver Discoverer, introduced in 2014, favors nautical blue tones and white walls in staterooms and public rooms, while Silver Galapagos (also introduced in 2014) underwent two sets of extensive refurbishments to brighten her decor. 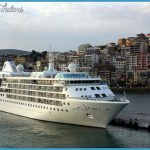 Each is pushing three decades in age and carries the dents and dings to go with it, but Silversea has done a good job of bringing them up to standard. Cabins If you like balcony cabins, prepare to pony up some significant cash, because all three of these ships have relatively few of them While all three offer all-outside accommodations, only the top-of-the-line suites feature private balconies. Silver Galapagos and Silver Discoverer lead the way here with inviting, if not exactly large, balcony staterooms (a perk: You can get your laundry done gratis at the higher suite levels). Silver Explorer only has six suites with true step-out balconies. 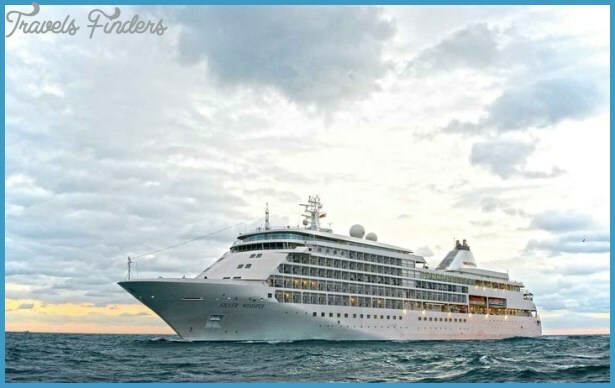 Across all three ships, standard Silversea amenities remain, from butler service to Bulgari or Ferragamo toiletries (the latter is not available on Silver Galapagos due to Ecuadorian regulations). Sadly, walls aboard Silver Discover are annoyingly thin: so thin, you can hear every bit of the conversation going on in the suite next door. Public areas & activities Across all three ships, guests will tend to congregate in The Theatre, a dedicated, window-lined space with its own bar and theatre-style seating that is used for lectures, presentations, and the Daily Expedition Recap and Briefing held each evening. On Silver Explorer and Silver Galapagos, this is a separate room all of its own, while Silver Discoverer rolls it into The Explorer Lounge, which also doubles as the ship’s primary watering hole, done in attractive shades of navy blue and white. Silver Explorer and Silver Galapagos have some pretty fantastic libraries, adorned with nautical memorabilia and fitted with light woods and cabinetry. A handful of computer stations can be found here as well, though both vessels are rigged with stem-to-stern Wi-Fi. Silver Discoverer has only a makeshift library. Both Silver Explorer and Silver Galapagos have dedicated piano bars and the Connoisseur’s Club, a fully glassed-in enclave serving up fine cognacs and cigars. Silver Explorer also features an Observation Lounge all the way forward on Deck 6 that is popular on scenic cruising days (or as a quiet place to nap on sea days). More books can be found here, and a small continental breakfast is placed here for the early risers. All three ships offer a small Spa and Fitness Center; they are basic, but get the job done. Dining Although all three ships feature the same dining options, each ship uses them a little differently. Aboard Silver Explorer, almost all meals are served in The Restaurant, a handsome, stern-mounted room with 180 degree views. Breakfast and lunch are buffet-style with cooked-to-order options, while dinners are a multi-course affair. Occasionally, The Grill will be open on deck when weather permits; we’re happy to say we’ve successfully had a cooked-to-order hamburger and a beer outdoors while cruising the ice pack in the Arctic Circle. Silver Discoverer holds buffet breakfast and lunch in the Discoverer Lounge on Deck 5, while The Grill (located just a bit further aft) provides outdoor dining when conditions allow. While the cuisine is good, decor in the Discoverer Lounge feels chintzy, a holdover from a past, pre-Silversea life. Dinners only are held in The Restaurant, which is a bit of a shame: It’s the loveliest public room on board, and you’ll want to take all your meals here. Silver Galapagos offers buffet breakfast and lunch in The Restaurant, but no one ever shows up: Thanks to the temperate climate of the Galapagos, most guests enjoy breakfast and lunch outdoors at The Grill, where a menu of grilled-to-order specials rotates daily. Dinners are held each evening in The Restaurant. Ecuadorian regulations stipulate that most of the ingredients hail from Ecuador. Translation: Some of these culinary creations may not be up to Western expectations (hint: Skip the beef dishes and go for the fish instead). All three ships feature Silversea’s signature Hot Rocks pool grill dining, where guests cook a variety of meats and seafoods atop their very own slab of superheated volcanic rock. Room service is also offered.